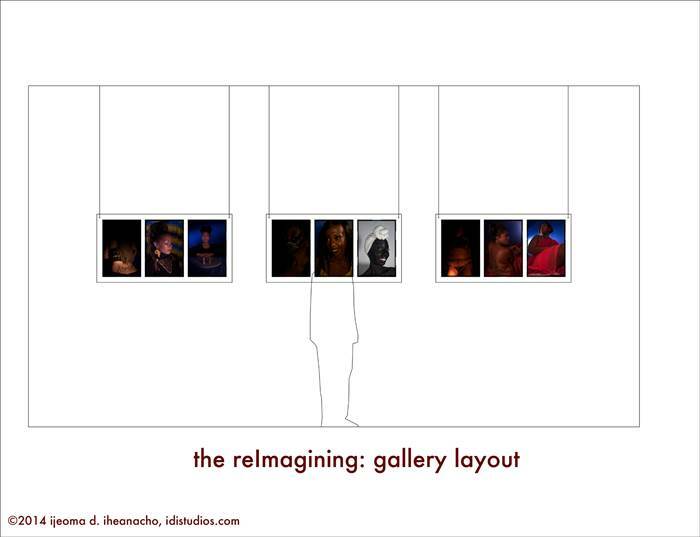 IJEOMA D. IHEANACHO/THE REIMAGINING the reImagining is a 300 image photographic instillation exploring the creation and distribution of the cultural identity of Black women. IJEOMA D. IHEANACHO/THE REIMAGINING The only thing worse than being misrepresented in your culture, is to be disappeared from it. Now imagine having to vacillate between the two. If you can, you know what it is to be a Black woman in America. This is the sticky position most women of African descent find themselves in. Not Oprah, not Michelle, not Halle - but the everyday Black woman being followed by the store detective. 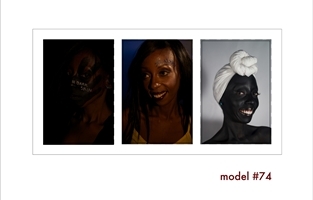 The everyday Black woman straining to see herself on TV or in the magazines. The everyday Black woman wondering where she fits in this society. 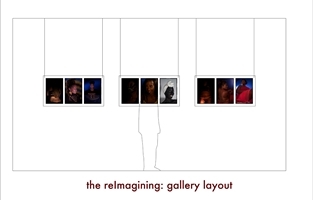 The reImagining is a large scale photography project borne out of the need to allow these women to not only work against the stereotypes put on them, but to also reclaim and re-represent their identities for themselves. Did you notice I mentioned “large scale”? 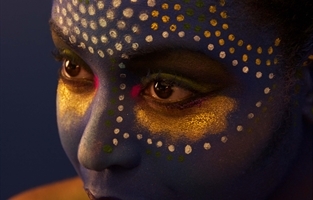 This project will allow 100 women to stand as a representation of all women working to broaden their presence globally. Each woman will be represented by three stylized portraits that illustrate how she feels she is being stereotyped, who she feels she is really, and how she wants the world to see her. 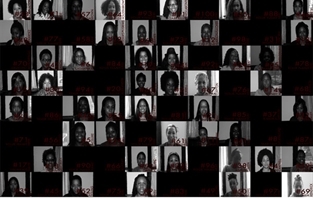 So if you are doing that math, that is 100 women x 3 final gallery quality portraits, for a grand total of 300 images. This is where I need your help. 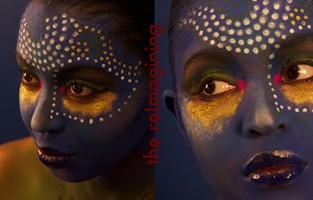 Please take a moment to donate today to the reImagining! With your help, I can make the reImagining a watershed project. I plan to not only turn this project into a traveling exhibition that will allow me to partner with non-profit organizations to bring the arts to underrepresented communities, but to also produce an exhibition catalogue that will allow a wider array of people to experience the work as well as be used in a wide variety of educational settings. The final step will be to launch a dedicated website that creates a forum to allow even more people to interact with the project and build communities that bring real solutions to these issues. I also plan to use the production of this project as a teaching moment. During the photography sessions I will arrange studio visits with organizations that work with young at risk girls to begin teaching them the important lessons of self-esteem and self-determination. But, before all of this can happen, I need to actually create the photographs! 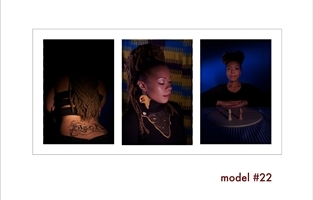 I already have 75% of the models ready and willing to volunteer their time and energy to this project, so every penny of your donation will go to creating the final 300 gallery quality photographs! The funds are needed for pre-production, studio rental, lighting, hair and make up, props and wardrobe, and post-production - all on a large scale to allow 100 women who are typically overlooked, to be heard. Please facebook us, drop us a few tweets, and let everyone on your email list know about this project! Let’s build a community around this project and make it successful. Thank you so much.